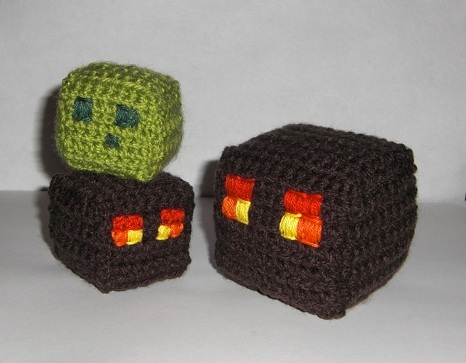 Make your own cute minecraft magma cube or slime critter! make two, embroider the eyes, sew together to form a cube, stuff. 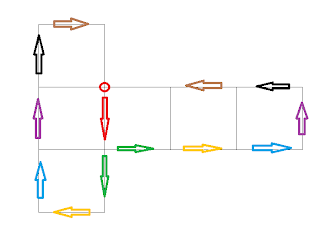 See schematic for help. 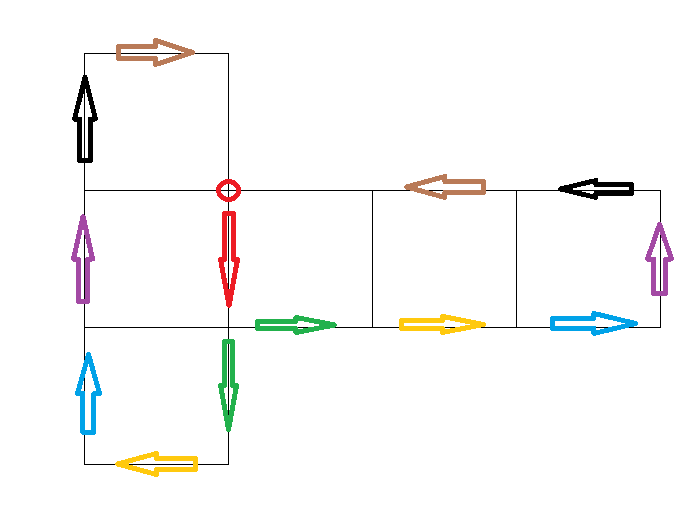 This means that if you lay down the 2 rectangles, the unused back loops should be in the back (you are not facing them). Embroider the eyes like these patterns. What I normally do is first make all vertical stripes and then finish it off with 2 horizontal bars on top and bottom. Note: You may NOT use this pattern, or the magma cubes/slimes produced following the pattern for commercial/retail purposes. You are free to use this pattern to make as many Magma Cubes and Slimes as you like for personal use/gifts. Please do not post this pattern anywhere else. If you follow my pattern and blog about it I would appreciate a link back to my blog (so others can make it too!). Thank you very much for the free patterns. My boys love Minecraft! "28-24 8sc, ch1, turn (7 times in total)"
I believe that is meant to be "18-24"? P.S. do u have a YouTube video? Thx! Ook deze heb ik weer gehaakt voor mijn zoon! These are super cute! I would love to link to your pattern in my next Crochet Roundup if you didn't mind. Yay Minecraft! Yeah! I made it!! It's so cute! Thank you for the pattern! !